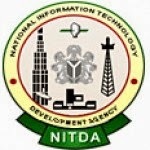 The National Information Technology Development Agency (NITDA), with its mandate of transforming Nigeria into an IT driven economy for global competitiveness and the dire need to bridge the digital divide, has since 2010 established a Scholarship Scheme for Masters (MSc) and Doctorate (PhD) Degrees in relevant areas of Information Technology (IT) obtainable in Nigeria or Foreign / Overseas Universities. The scholarship award is strictly based on merit and is equally distributed between the six geo-political zones for PhD and the 36 States and FCT for MSc. The Masters programme will run for one year while the Doctorate programme is expected to run for three years. PhD: University Lecturers with MSc in any Information Technology related field are eligible to apply for sponsorship. MSc: All citizens of Nigeria with First Class or Second Class (Upper) Honours Bachelors degree, (BSc) in Information Technology related field. The registration period is six (6) weeks from the date of this publication. A comprehensive Aptitude Test will be conducted to determine successful candidates for the Award. Only candidates who are found eligible will be invited. Kindly Click Here to Visit and Like our Facebook Page and/or follow us on TWITTER (@scholarshipNG) for prompt updates on more opportunities.